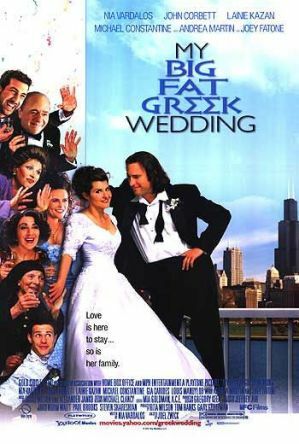 Take my quiz about this 2002 feel-good film starring Nia Vardalos and John Corbett. 1. What was the named of the restaurant owned by the Portokalos family? 2. In what field did Ian start out before he decided to be a teacher? C. because she believed it would make Toula smart. D. just to be gross. 5. Where was Toula and Ian's reception held? 8. What did Toula's parents give as a wedding gift? 9. What type of school did Toula's brother, Nick dream of attending? 10. How many first cousins did Toula have?